France is a country that needs no introduction. It is the ultimate destination for couples and art enthusiasts from around the world. If you are a fan of life, you’re a fan of France. Whether you want to visit the museums of Paris, or enjoy a luxe resort in the French Riviera, making sure that the weather in France is favorable, is essential to enjoy the perfect holiday when you visit. Paris has good weather throughout the year. While it gets cold in the winter, it rarely snows. If you want to enjoy a ski holiday, December - March is the best time to visit France. If you are holidaying on the coast, towards northern Brittany, or Normandy, the weather can be unpredictable throughout the year. The Mediterranean coast has a temperate climate throughout the year, with most of the rainfall happening between January to March. When to visit France is a question that is best answered by your itinerary. It depends on the places you want to visit, and how badly do you want to avoid those crowds. April - June, or the spring season, and October to November, the fall season, is the best time to visit France if you wish to avoid the crowds and get cheaper hotel rates. Tourists will not be crowding the place, so you will get plenty of space for yourself, and the French people are likely also in a better mood! The spring weather in France is rather crisp, and except for a few scattered showers around Paris and the Atlantic coast, there is little to no rainfall elsewhere. High season in France is from May to July, because of warm and splendid weather, but again, do expect more crowds and if you’re planning to visit the Eiffel tower or similar, please do reserve your tickets in advance. Most restaurants and shops close in August, as it is the French holiday season. And since the French love holidaying, the southern regions get incredibly crowded, as well. If you don’t mind the crowds, you can still have a wonderful holiday in this period. Spring is exceptionally beautiful in France - the greens are particularly green, and the flowers are in full bloom everywhere. This season is generally quieter, before the tourist rush begins, so you are guaranteed better accommodation rates, friendlier service and more beautiful attractions. Highlights: Paris is particularly beautiful during this period, as is the Mediterranean coast. If you want to visit Cannes, Provence, or the Cote d’Azure, this is a great time to do so. 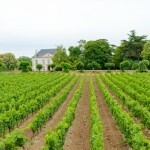 This is a good season to visit Bordeaux, as the grape harvest season would be over, and you’ll get to enjoy the vineyards without the rush. This is the peak season for travel to France, but that means it is the most crowded as well. July and August is the holiday season in Europe and the UK, and a lot of families head down here. In Paris, the attractions will remain open longer, but it is recommended that you buy your tickets earlier. In the month of August, accommodation in Paris will be inexpensive, but a lot of shops and restaurants might be closed. Highlights: The Atlantic coast is rather dry during this period, so if you want to enjoy some sun, you can head towards Normandy, Brittany, or Loire Valley. The southern coast will be full of holidaying French, so you can even head north and explore the historical parts of Alsace-Lorraine! October - November is the beginning of the low-season in France. Fall can be rather wet, and since the rush season is over, the attractions in Paris will be open for fewer hours. However, the off-season offers great bargains for travelers. Highlights: Head to the Provincial cities such as Marseille, Lyon, Toulouse, or Bordeaux, where you can enjoy the finest French cuisine and culture. On even numbered years, Paris celebrates the Paris Motor Show, which will definitely be an experience of a lifetime! The weather in France is coldest during these months. Towards the north and the west, there is not a lot of snow, but it does get quite cold. There might even be some scattered showers around December and January. Highlights: These months are best for people who are interested in visiting the French Alps. The peaks are incredibly snowy, and this is the best time to visit France for a skiing trip. Head to e.g. Chamonix, Queyras, and Ecrins, where the adrenaline junkie in you will find great adventures. For those who want to enjoy the quiet solitude of the mountains, Annecy, Mont Blanc, Lons-le- Saunier and Lake Geneva beckon. They look the best in winter, so you will definitely have a wonderful experience. It is best to avoid the ski slopes on French and British holidays, so as to avoid the school rush! 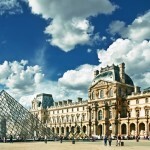 An international hub for culture and the arts..
You long for a trip to Paris to.. The French are famous wine drinkers, and their..